We speak with an SR-71 crew member, instructor pilot, Wing Commander, airline pilot, and author. In the news, we look at the Airbus Helicopters H160, an F-35 report from the Government Accountability Office, the grounding of the B-1B fleet, and new airports for Thailand. Also, North American fliers are happier, five must-see TV programs about airplanes, the Texas Aircraft Expo, and listener feedback. Col. Richard H. Graham in the SR-71 cockpit. As a 15 year veteran within the SR-71 community, Col. Richard H. Graham is uniquely qualified to tell the Blackbird story. Col. Graham entered the SR-71 strategic reconnaissance program in 1974 and after several years as a crew member, he became an instructor pilot in the SR-71. In 1978 he was selected as the Chief, Standardization/Evaluation Division. In 1980 Col. Graham became the SR-71 Squadron Commander of the 1st Strategic Reconnaissance Squadron. Following four years in the Pentagon, Col. Graham was selected to be the 9th Strategic Reconnaissance Wing Commander at Beale AFB in June 1987. He has written five books about the SR-71. We talk about the models of the 50 Blackbirds that were built and their safety. Nineteen were lost, all but one in the first 6 years. 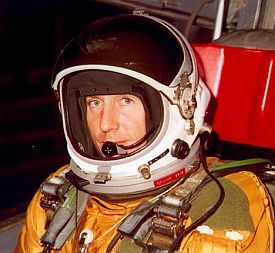 Col. Graham tells us about the SR-71 ejection seat and the aerial refueling procedure that uses liquid nitrogen to prevent fuel tank explosions. We also compare the SR-71 with the U-2, and learn about measuring fuel drips, “unstarts,” and the pilot selection and training processes. Col. Graham’s books are available on Amazon.com, but also on eBay where he offers autographed copies. Look for eBay seller ID SR-71 pilot 1974-1981. Prior to entering the SR-71 program, Col Graham flew 210 combat missions in Vietnam in the F-4C/D Phantom as well as the Wild Weasel mission. He was a command pilot with more than 4,600 military flying hours. His military decorations include three Legion of Merit awards, four Distinguished Flying Cross medals, and 19 Air Medals. After serving 25 years in the Air Force, Col. Graham flew for American Airlines for 13 years, accumulating over 8,000 flying hours. He was initially hired at American Airlines as a Flight Engineer, flying the B-727 and DC-10. After 2 years he moved to the right seat of the MD-80 and his last 3 years Rich few as a captain on the MD-80. 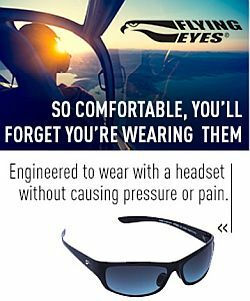 With over 16,000 hours total flying time, you can find Rich flying and teaching at McKinney (Texas) Airport (TKI) for the Texins Flying Club. The Airbus Helicopters H160 medium duty helicopter is the first of the H generation. Airbus says “the entire design was based on one overriding goal: to create added value for customers in terms of performance, economic competitiveness, safety, and comfort.” The H160 features an advanced “automatic recovery mode” designed to help pilots in difficult situations. Is the F-35 About to Be Delayed (Again)? The annual Government Accountability Office (GAO) report on the F-35 (published June 5, 2018) has identified 966 open deficiencies. About 20% of them are expected to remain open when the Pentagon is scheduled to begin full-rate production. The GAO is advising the Pentagon hold off until these are addressed. The entire fleet of B-1B bombers is grounded as a result of an issue with the aircraft’s ejection seats. This follows from the safety investigation after an emergency landing of a B-1B at Midland International Air & Space Port in Midland, Texas on May 1, 2018. Maya Bay is closed for four months as a result of over-tourism causing coral reef damage and pollution. At the same time, the approval of two new airports has been criticised by environmentalists. A survey of passengers shows that North Americans are happier about airline travel than they have ever been. Reporter-at-Large Launchpad Marzari attended the Texas Aircraft Expo and spoke with Patrick Rydzewski of CTL Aero Solutions, and 12-year old Clare Muska. Help build a plane in 7 days at EAA AirVenture Oshkosh 2018! #PaxEx Podcast 58, Unpacking sexism at AGM, guns in carryon, pot in transit with journalist Harriet Baskas. This entry was posted in Episodes and tagged Airbus Helicopters, B-1B, ejection seat, F-35, SR-71, Thailand on June 13, 2018 by maxflight. A fleet of C-47 aircraft plan to fly over Normandy to commemorate the 75th anniversary of D-Day. Also, the DOT plans to take a closer look at FAA oversight of airline maintenance practices, a panel of experts looks at the disappearance of MH 370, and passengers react to airline food service takeaways. Placid Lassie will join up with other aircraft of the D-Day Squadron in June 2019 to celebrate the 75th Anniversary of the D-Day Invasion. Courtesy D-Day Squadron. Moreno “Mo” Aguiari, Executive Director of D-Day Squadron. 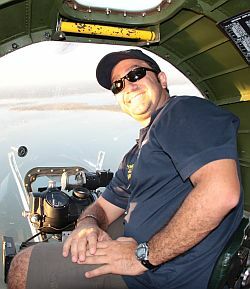 Moreno “Mo” Aguiari is the Executive Director of D-Day Squadron, an organization that plans to lead an American fleet of historic, restored C-47 World War II military aircraft in Daks Over Normandy in June 2019. That event includes a flyover of more than 30 international aircraft that will drop 250 paratroopers over the shores of Normandy to commemorate the 75th anniversary of D-Day and honor the citizen soldiers of the War. The D-Day Squadron is the part of the Tunison Foundation, a non-profit 501(c)(3) charitable organization. The Squadron’s education program tells the story of the citizen soldier to audiences at air shows and events off the flight line to honor the brave Americans and ensure their memory and significance is appreciated for generations to come. The group’s efforts are funded through the generous tax-deductible contribution of their supporters. Mo is a sales/marketing and business development professional who received a B.S. in Political Science from the University of Milan and an Aeronautical Technician diploma from the National Avio School, also in Milan, Italy. He moved to the United States in 1999 to become a commercial pilot and became a US citizen in 2008. In addition to being the Executive Director of the D-Day Squadron, Mo also runs Warbird Digest and Warbirds News, a successful vintage aviation publishing company focused on the warbird and classic aircraft community. 60 Minutes Australia gathered an international group of aviation experts to talk about the disappearance of MH370. While not in complete agreement, many feel it was a deliberate criminal act by the pilot – a suicide/mass murder. See also What the 60 Minutes report into MH370 didn’t tell us. Following Brian’s comments last week about airline takeaways, we have this story. United Airlines decided to drop Sprite Zero, Jim Beam, Courvoisier, and tomato juice from flights less than 4 hours. Customers reacted strongly on social media and United reversed the decision. For more on this, see United Airlines Just Made First Class Passengers Incredibly Angry. Now the Airline is Having Second Thoughts. Student pilot Nicki brings us installment #8 on learning to become a pilot. 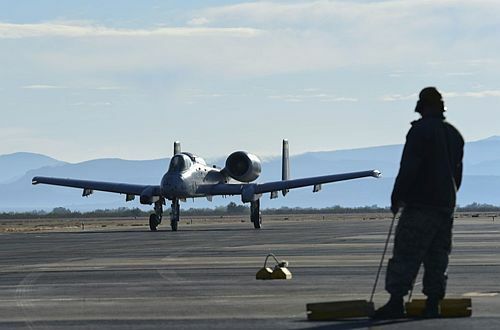 Brian spoke with some members of the A-10 Demo Team at the Planes of Fame Airshow: Sr Airman Betty Chevalier (Team Public Affairs Representative). Tactical Sargent Dan Isaksen (Team Chief), and Capt. Cody Wilton (Team Pilot). This entry was posted in Episodes and tagged A-10, AC-130, Allegiant, American Airlines, B-1B, Boeing, C-47, Daks over Normandy, FAA, MH 370 on May 16, 2018 by maxflight.